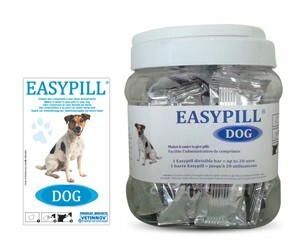 Easypill® is an innovative range of complementary feeds based on the concept “one trouble → one palatable solution”. 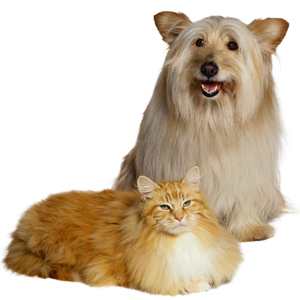 To learn more about our products. To ease the administration of pills in dogs. Hide the pill totally in a piece of the product to make a « ball », and put it in the pet’s dish. To ease the administration of pills in cats. To soften the stools and lubricate the intestinal tract and stimulate hairball elimination. Instructions: 2 pellets twice a day (morning and evening) for 5 days. To soften the stools and lubricate the intestinal tract. Instructions: 1 portion per 5kg for 5 days. Reduction of acute intestinal absorption disorders. Instructions: 2 pellets twice a day (preferably before meal) for 5 days. Instructions: 1 portion twice a day per 12kg for 5 days. Support of liver function in the case of chronic liver insufficiency. 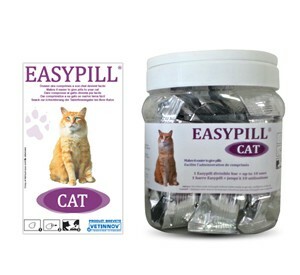 Instructions: 1 pellet per day up to 6 months. Instructions: 1/2 portion up to 6 months. 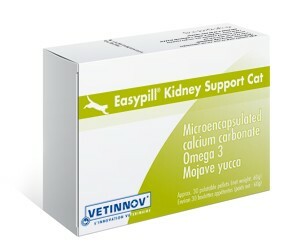 Provides microencapsulated calcium carbonate which is a phosphate binder, Omega 3 fatty acids and Mojave yucca. Instructions: 1 pellet per day for 3 months renewable or continuously up to 6 months. 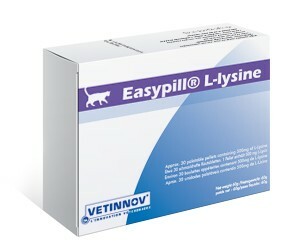 Instructions: 1/2 portion per day per 10kg for 3 months or continuously up to 6 months. Nutritionnel restauration, convalescence. 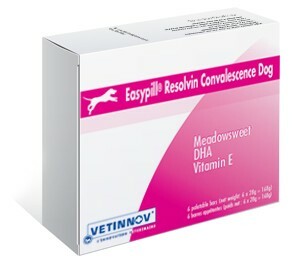 To provide essential nutriments which activate the pathways of biosynthesis of mediators involved in the resolution of the inflammatory process. Recommended against gingivitis. Instructions: 1 pellet per day for 40 days renewable or until restauration is achieved. Nutritionnel restauration, convalescence. 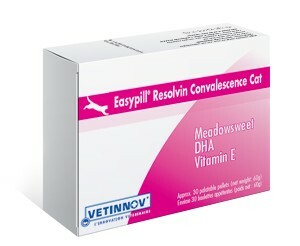 To provide essential nutriments which activate the pathways of biosynthesis of mediators involved in the resolution of the inflammatory process. Instructions: 1/2 portion per day per 10kg for 40 days renewable or until restauration is achieved. Support of the metabolism of joints in case of ostheoarthritis. To provide glucosamine, chondroitin, and essential nutriments which activate the pathways of biosynthesis of mediators involved in the resolution of the inflammatory process. Instructions: 1 pellet per day for 40 days renewable or up to 3 months. Instructions: 1/2 portion per day per 10kg for 40 days renewable or up to 3 months. Contains glucosamine, chondroitin and dried whey proteins. Dried whey proteins (OsteolTM from Nexira) help to boost natural joint health formulas. 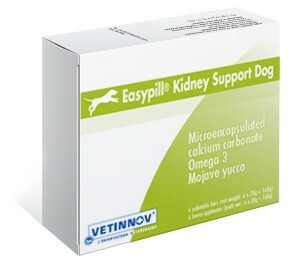 Instructions: 1 pellet per day for 1 or 2 months, 4 times a year or continuously.